One of the most popular flooring choices available is hardwood flooring. The natural beauty and warmth of these materials is unsurpassed by any other option. If you are interested in installing hardwood flooring throughout your home or commercial property, you should consult with a professional New Jersey flooring company. At Floor Town, our hardwood floor design consultants are here to assist you with the entire effort. With our guidance, you are guaranteed to make the best possible choices for your prospective project. The hardwood floor that you select will add long term enjoyment to every space in which it is installed and substantial value to your New Jersey property. Throughout the entire effort, our team will work its hardest to maximize your present and long-term satisfaction. 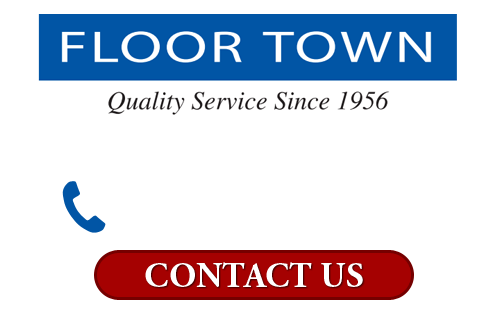 Call Floor Town today if you are looking for a highly knowledgeable and customer oriented flooring company in New Jersey. Our courteous and polite staff would be happy to assist you in any way that we can. We can schedule your hardwood flooring consultation today. Strip and plank flooring are primarily differentiated by the width of their boards. The thinner strip flooring, generally 1 1/2″ to 2 1/2″, creates an illusion that the living space is larger than it is. The broader plank flooring, generally 3″ to 8″, can be used to make an area seem more rustic, antique, historical, or earthy. Handscraped flooring and wire brushed flooring are very popular finishing options that can truly transform the look and feel of a living space. Both options create the feeling that the hardwood floor has been in place for centuries. The distressed look adds a stunning gravitas to any room. Due to technological and manufacturing advances, beautiful hardwood flooring can now be installed into any room within your property, even those that are below grade and susceptible to moisture incursion. We carry a wide range of amazing options that are resistant to bowing and shrinking. In our showroom, we clearly indicate which areas our hardwood flooring materials are specifically designed for. Our consultants can ensure that you select the most long-lasting and optimal options for all your living spaces. Throughout the entire material selection process, our hardwood flooring design consultants will help you understand the importance of product variations. We can educate you as to the distinct grain of the hardwood flooring options that you are considering. Our professionals can also advise you as to the finishing options that are available. Depending on the traffic of the room and the look that you are trying to achieve, you can select anything from a matte to a high gloss finish. One of the most often overlooked aspects of hardwood is how the interconnections will look after installation. The ending of your strips has a dramatic impact on the overall appearance and atmosphere of the living space. Our design experts can provide you with information about all times of endings, including square edge, micro bevel, and full bevel. 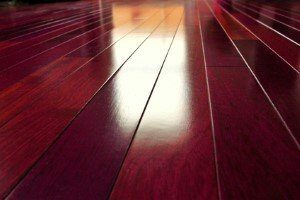 All of the above mentioned factors will culminate into a truly customized and uniquely beautiful hardwood flooring within you New Jersey property.